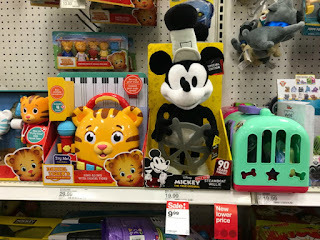 Head over to Target to pick up a Disney Mickey Mouse 90th Special Edition Steamboat Willie on sale for $9.99, regularly $24.99! You can shop for this deal in stores and online. Shipping is out of stock, so you will need to select store pickup when shopping online.Plus, If you are a Target REDcard holder you will save an additional 5% on top of the sale price.